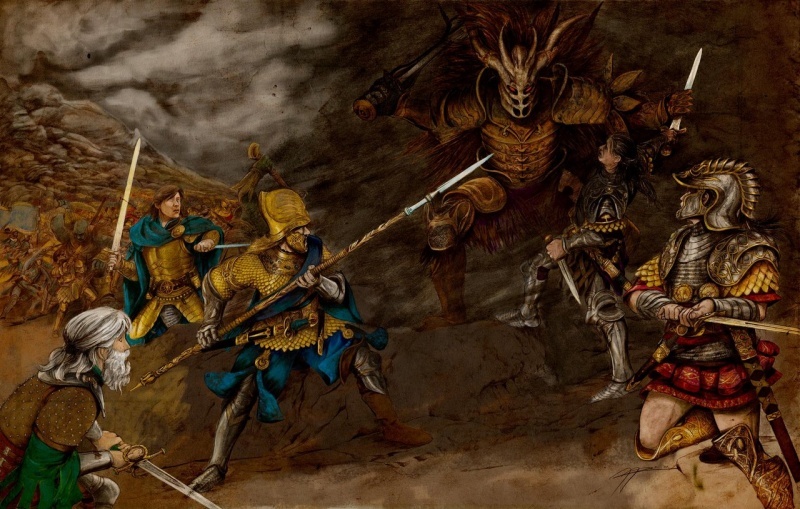 Elendil and his sons fight against the winds. They are separated. The White Council meet again to discuss the Breaking of the World. 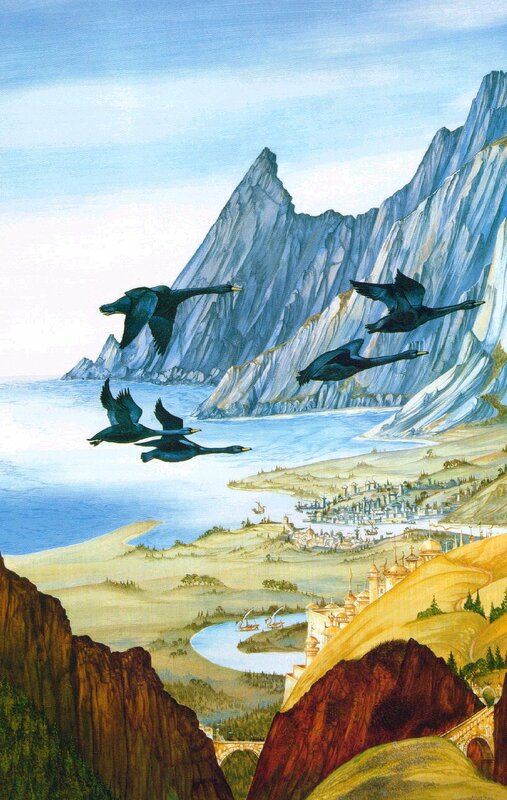 Elendil’s ships arrive on the shores of Lindon. Elendil meets with Gil-Galad and the Council and tells them of the Downfall of Numenor. Sauron rises from the sea in physical form. 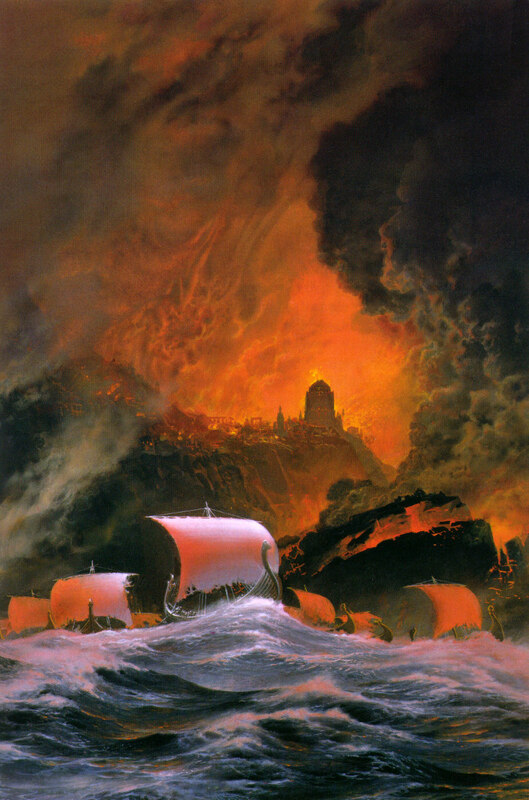 Isildur and Anarion’s ships come to the Mouths of Anduin. They sail up the Anduin until they reach Pelargir. 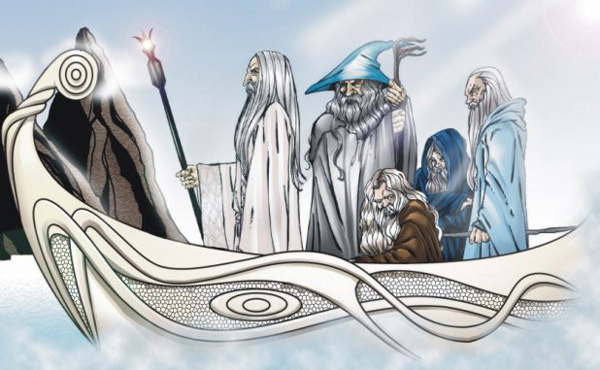 Gil-Galad guides Elendil up the river Lhun. Here Elendil finds settlements of Numenoreans. He and his followers settle here, calling their land Arnor. Anarion travels to the North, where he finds his father. The Palantiri are placed all other Middle-Earth. Sauron returns to Barad-Dur and wears the One Ring. Mount Doom erupts. Annuminas – Lord of the Rings Online, Turbine, Inc.
Sauron and the Nazgul take Minas Ithil through Cirith Ungol. Isildur is forced to flee and Sauron acquires the Palantir. Isildur comes to Osgiliath and meets with Anarion. He warns Anarion of Sauron’s return and leaves for Lindon down the Anduin. Elendil hears of Sauron’s attack from Anarion through the Palantir. Sauron sends his forces out in all directions. He beings Umbar and Rhun under his control and orcs attack Greenwood and Lothlorien. Isildur reaches Lindon and is directed to his father. Isildur tells the Kings about Sauron’s return. The Nazgul attack Osgiliath, but Anarion holds. Anarion ambushes the Nazgul in the forests of Ithilien and forces them back to Minas Ithil. Elendil and Gil-Galad form the Last Alliance of Elves and Men. Elendil seals the Alliance with an oath in the name of Eru. The final episode of Season 6 and The Silmarillion part of the series will be another feature-length film like Wrath, around 90 – 120 minutes in length, theoretically. It will cover the entire War of the Last Alliance. The war will have to be simplified to fit in with time constraints so not all seven years of the Siege of Barad-Dur will be detailed fully. Several events leading up to and after the war will be streamlined as well. The Last Alliance camps in Rivendell. Elrond sends out riders to Khazad-Dum, Lothlorien and Greenwood. Isildur says farewell to his wife and youngest son. The Last Alliance crosses the Misty Mountains and meets with the armies of Amdir of Lothlorien, Oropher of Greenwood and the dwarves of Khazad-Dum. Anarion confers with Elendil through the Palantir. Sauron watches the armies gather through the Palantir stolen from Minas Ithil. The Last Alliance halts in front of the Black Gate. They are joined by Anarion. Isildur curses the men who did not honour their oath. Sauron’s army attacks. 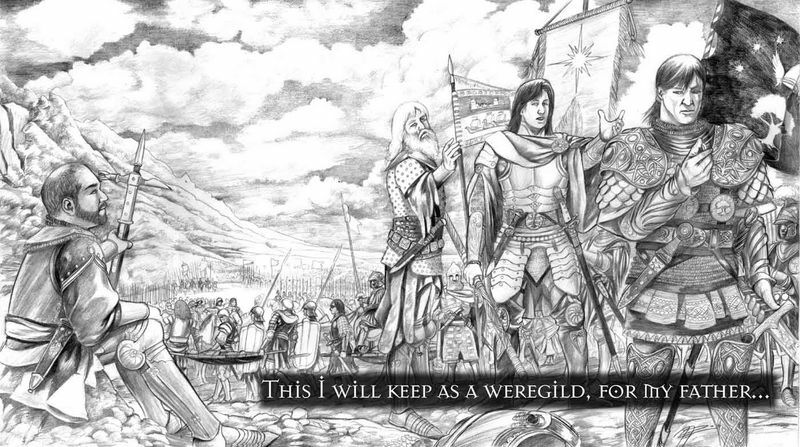 Gil-Galad orders the lines to hold. Amdir and Oropher refuse to take orders from the Noldor and attack the orcs. Oropher is killed and Amdir is forced to flee, later drowning in the marshes. Thranduil takes command of the Greenwood army. Gil-Galad and Elendil defeat Sauron’s first wave and besiege the Black Gate. They manage to climb it and open it. They enter Mordor. The Last Alliance march to Barad-Dur. They set up camp upon Gorgoroth. Elendil challenges Sauron to come forth. In response Sauron sends fire raining down from Barad-Dur. 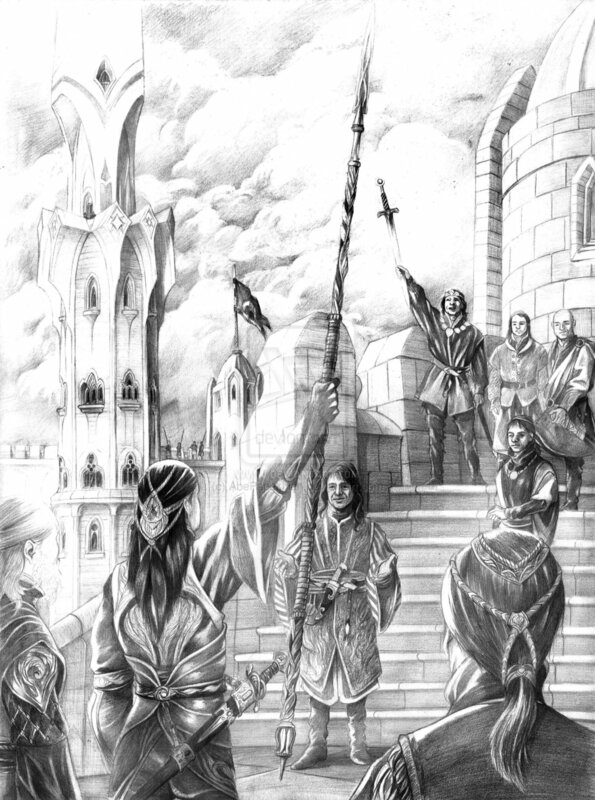 Elendil orders siege weapons to break down Barad-Dur’s gates and towers, but the tower is too strong to be broken. Anarion is killed by a rock thrown from the tower. All of Sauron’s forces flee the battle. Elendil challenges Sauron once more. Sauron leads his last forces out of the tower, breaking through the lines. 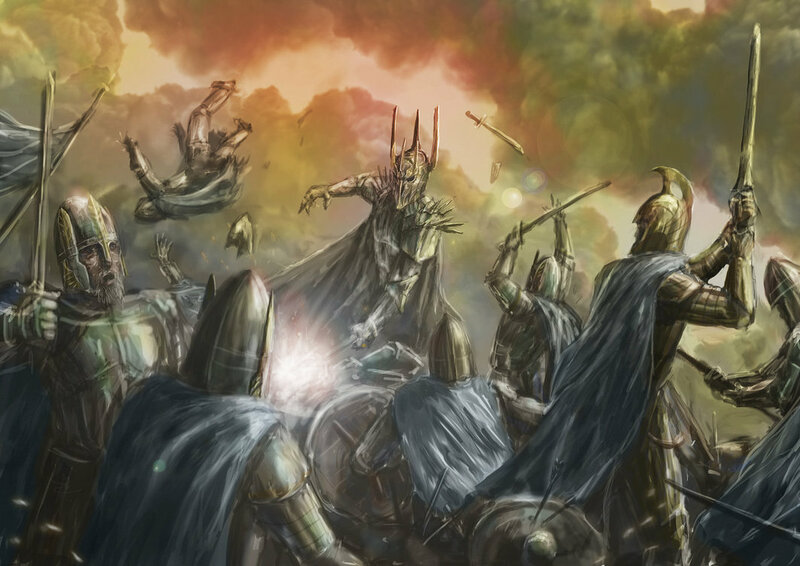 Sauron destroys hundreds of elves and men before reaching Elendil and Gil-Galad. Elendil and Gil-Galad duel with Sauron. Elendil runs Sauron through with Narsil but is cast off, Narsil breaking under him. Gil-Galad then pierces Sauron’s neck with Aeglos, but is crushed and burned by Sauron’s body. Isildur takes the hilt of Narsil and cuts the Ring from Sauron’s hand, destroying his body. 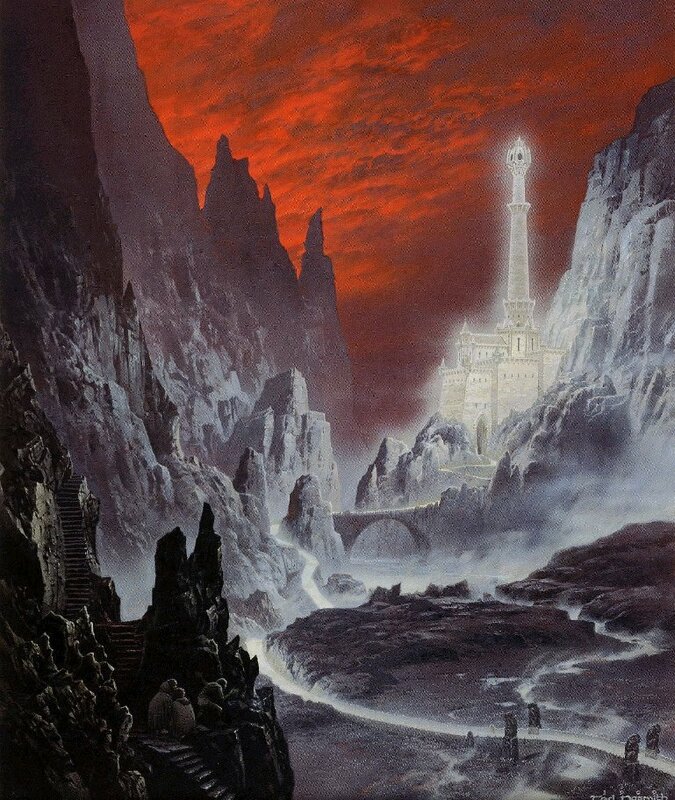 Barad-Dur’s tower falls, but its foundations remain. The remaining orcs and Easterlings flee. Elrond and Cirdan order Isildur to destroy the Ring, but he chooses not to. The thousands of dead are buried at Dagorlad. 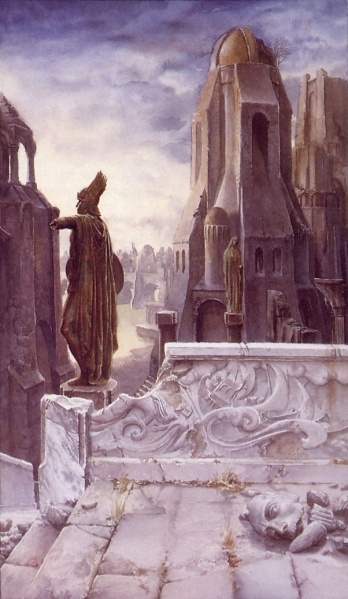 Cirdan offers Elrond the title of High King of the Noldor. Elrond does not take it. The Noldor are left without a King. The White Tree is planted. Isildur is killed while journeying back to Arnor. The Ring is lost. Ohtar brings the shards of Narsil to Rivendell. Elrond takes care of Isildur’s youngest son. Gandalf, Saruman and Radagast arrive. They are greeted by Cirdan and Glorfindel. The Blue Wizards journey East, never to return. The Battle of Dagorlad – Lord of the Rings: The Fellowship of the Ring, Dir, Peter Jackson. New Line Cinema.